Genius. It’s an over-worked term in modern popular culture, quickly bestowed on any musician, artist or writer who becomes famous or influential. But there are people for whom it seems appropriate. The British writer Alan Moore is one of them. In his prime, this proud son of Northampton bestrode the world of comics like a colossus, imagineering, innovating and inspiring like a combination of Hieronymus Bosch, H.P. Lovecraft and William Burroughs. He was, and remains, a master of both words and images, synergizing the verbal and the visual to create worlds of wonder for his millions of awestruck fans. 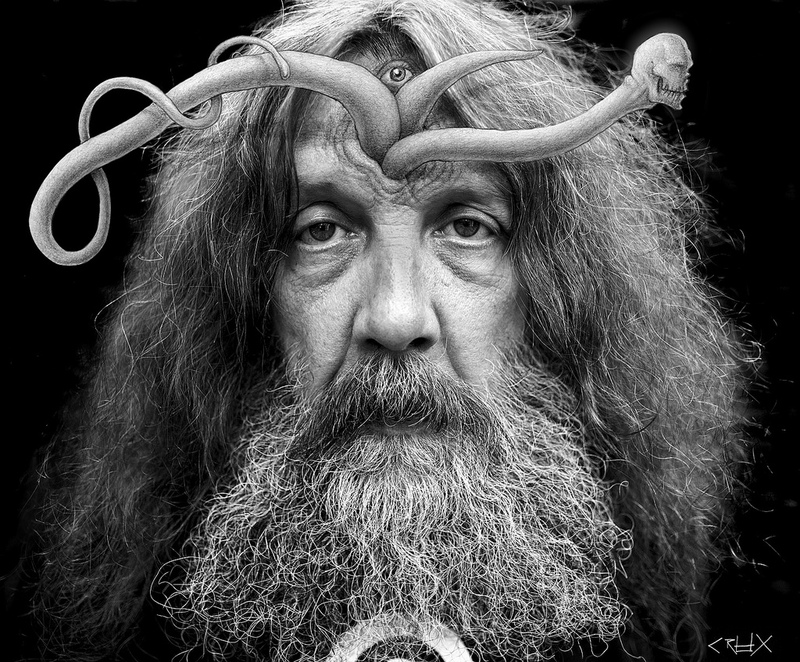 Alan Moore is a genius. It doesn’t sound wrong to say that. At least, it doesn’t sound wrong if you are one of those many fans. But I’ve never felt the Moore magic myself. I’ve tried masterpieces of his like Watchmen (1987) and V for Vendetta (1985) and found them over-written, pretentious and confused. And I thought this long before I became a crazed political extremist. When I first read Watchmen I was a goodthinkful liberal too, resolutely opposed to racism, sexism and homophobia. That was then. Now I reject Moore not just as a writer but as a thinker too. His art is adolescent and so are his politics. Like the Yorkshire playwright Alan Bennett, he makes much of his humble origins and the simplicity and decency of his working-class parents. And like Bennett, he unflinchingly supports all the forces in British politics and culture that most despise the working class and people like his parents. On the upside, those same forces will shower riches on any talented working-class writer who demonstrates his goodthinkfulness and collaborates with them in their anti-prole endeavours. As I pointed out in “Bend It Like Bennett,” Alan Bennett is a rich man who was well able to afford a wallet-lightening encounter with some vibrant Romanian Gypsies. 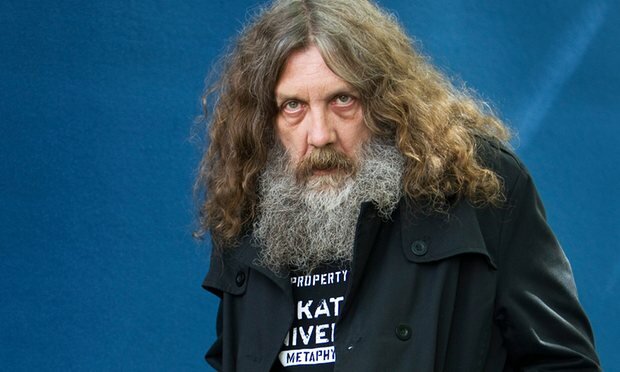 Alan Moore is also rich: he has recently donated £10,000 to help a friend bring his “African wife” over from Mozambique. The British government were asking the friend to prove that he had the “minimum income threshold” required to support a foreign wife. In short, Moore was virtue-signalling, secure in the knowledge that his donation and the opinions that accompanied it would bring him nothing but approval and admiration from his fellow liberals. Hattersley has been richly rewarded for betraying the working-class people he was elected to serve. He now sits in the House of Lords as Lord Hattersley and has made large sums from his banal and politically correct writing on British history and culture. 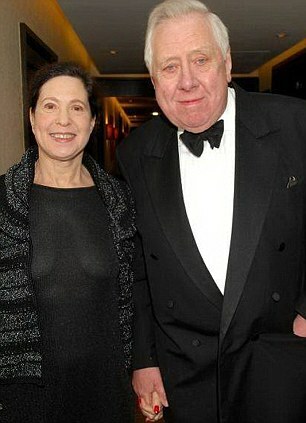 In 2013, he married the woman responsible for his wealth, the Jewish literary agent Maggie Pearlstine. Alan Moore and Alan Bennett have also made large sums from their writing. Like Hattersley, they have had to betray the working-class to do so. That’s why it’s no surprise that they are both passionate supporters of Jeremy Corbyn, the Social Justice Warrior (SJW) who currently leads the Labour party and who has just won an increased mandate from the middle-class SJWs now ascendant there. 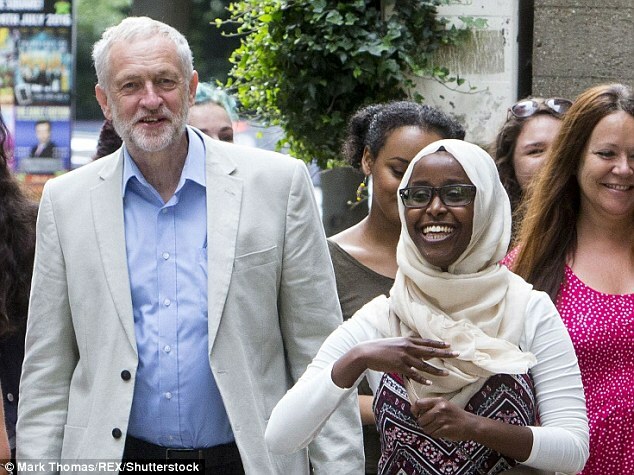 Moore has praised Corbyn as “someone who offers a future that ordinary people could actually live in.” Corbyn wants much more immigration from the Third World, so under-age working-class girls in Rotherham and Oxford might disagree with Moore’s assessment. As an anarchist, as someone who believes neither in leaders nor the means by which we select them, I’m obviously at something of a disadvantage when it comes to making political endorsements of any kind. That said, I wasn’t born an anarchist. I was born to an ordinary working-class couple in the closest thing that Northampton has to a ghetto, and I was raised with the probably simplistic but heartfelt belief that it was the duty of our family and people like us to vote Labour since Labour, unambiguously, was the party of the working people. Back then in the 1950s, my parents’ belief was based not on wistful idealism but on the insurmountable fact that the post-war Labour government had introduced a National Health Service and had allowed access to free education for their children. These were simple, unsophisticated people who felt that their class had taken the brunt of the Second World War, and who looked upon the promise of a fairer future as a well-deserved reward for their hardships. Accordingly, he didn’t spend his “first decade” in parliament “opposing all Commonwealth [i.e., Third-World] immigration.” That was in the 1960s, when the “Diet-Tory” Tony Blair was still going through his expensive private education. In other words, Labour was “inimical” to “working class principles and values” long before Moore’s parents passed away. Trade Unions were openly hostile, claiming that the newcomers’ lack of English made them a danger at work; the Glasgow Trades Council declared the Lithuanians in Glengarnock as “an evil” and wrote to the TUC [Trades Union Congress] demanding immigration controls to keep them out. Keir Hardie was “xenophobic” not because he hated foreigners, but because he knew how bad mass immigration was for the working-class. Roy Hattersley was xenophilic for the same reason: by the 1960s, Labour had been taken over by forces that despised the working class rather than defended it. In other words, New Labour was not something new. Its front-man Tony Blair became Labour leader after the premature death of John Smith, which was a great relief to the Labour fundraiser Michael Levy, a Jewish entrepreneur and ardent supporter of Israel. Smith had been a shabbos goy, but Blair far surpassed him. He was delighted to accept as much money as Levy could raise from other Jewish entrepreneurs. The Minister for Immigration who oversaw this attack on the working-class was the peculiar Barbara Roche, a Jewish SJW who “entered politics … to combat anti-semitism and xenophobia in general.” Roche “loves” and “feels comfortable” in a society atomized by mass immigration. The working-class don’t share her enthusiasm for Third-World enrichment, because they have to suffer the crime, lowered wages and social destruction that it inevitably brings.